A great smile can mean the difference in how you feel about yourself from the inside out. The dental team at Alpine Dentistry creates dental implants for adult patients of all ages. 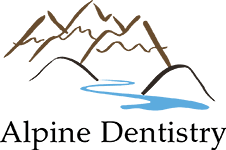 Located in Colorado Springs, Colorado, Alpine Dentistry's experienced team can replace missing or extremely damaged teeth to restore the appearance, functionality, and health of your smile. Call for a consultation or schedule your appointment online to learn more. Dental implants are strong, stable teeth that look, feel, and function like natural teeth. A dental implant is a titanium post that's surgically anchored to your jawbone, beneath the gum line. This screw-like post is like the root of your new tooth. After the post is implanted and your mouth has healed, your dentist attaches the new replacement tooth, or crown, to the metal post permanently. Since the dental implants fuse directly to your jawbone, they're strong and stable. These metal posts can also help crowns, bridges, and dentures stay firmly fastened to your jaw. If you’re a good candidate for dental implants, they can be a great choice for natural-looking and natural-feeling teeth replacements. Whether you're missing one tooth or multiple teeth, you could be a great dental implant candidate. Your gums need to be healthy, you need good jawbone density, and your jaw must be finished growing. Meet with the team at Alpine Dentistry to learn more about your options for missing teeth and to see if implant treatment is the best solution for you. How does dental implant placement work? At Alpine Dentistry, your dentist uses a state-of-the-art 3-D X-ray machine for imaging, and 3-D computer-guided implant placement. This is the gold standard for imaging and implanting. Three-dimensional X-rays show your exact bone density, and this is important since you need good bone density to support implants. Sometimes, the X-rays may show that you need a bone graft before implants. Your dentist uses a 3-D guide to place your implant. This allows extremely precise placement with the very highest chance of long-term implant retention. Computer-guided placement also reduces the need for incisions, which can allow faster healing after dental implants. It's time to take the first step toward a more confident smile and a more confident you. Request an appointment online or call Alpine Dentistry today.